UAE Ministry of Economy issued the following announcement on Sept. 24. 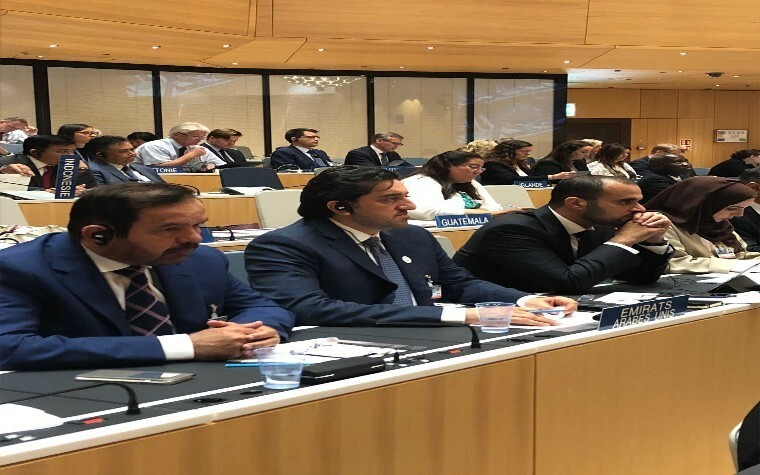 A high-level delegation organized by the UAE Ministry of Economy (MOE) is currently taking part in the Fifty-Eighth Series of Meetings of the Assemblies of the Member States of the World Intellectual Property Organization (WIPO), which opened today (September 24, 2018) and will run until October 2, 2018 at the WIPO Headquarters in Geneva, Switzerland. The delegation is headed by H.E. Eng. 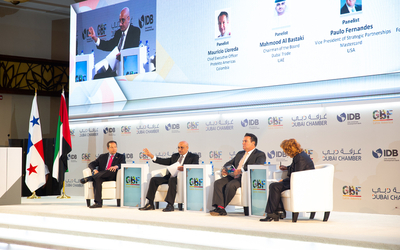 Mohammed Bin Abdul Aziz Al Shehhi, Undersecretary for Economic Affairs, MOE. He is joined by Ali Ibrahim Al Hosani, Assistant Undersecretary for the Intellectual Property Sector; Abdul Salam Al Ali, Director of the UAE Office at the World Trade Organization (WTO); Khalfan Al Suwaidi, Director of the International Centre for Patent Registration; Abdullah Al Hammadi, Director of the National Tourism Program; Fatima Khalaf Al Hosani, Director of the Trademarks Department; Fawzi Al Jabri, Director for Copyright and Intellectual Property Department and Shaima Al Akel, International Organizations Executive, Office of the UAE to the WTO. Also, being held on the sidelines of the meetings is 'UAE Week,' which is being held at the WIPO Headquarters in Geneva and is being organized by the MOE in coordination and cooperation with WIPO to help showcase the creativity of Emirati products and the innovative ideas inspired by the cultural heritage of the country. In his speech, H.E. 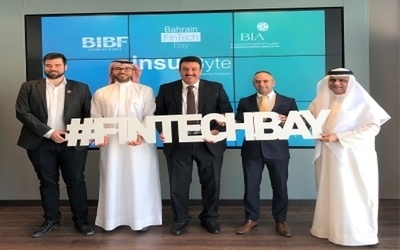 Al Shehhi expressed his confidence that the current session will result in the successful discussion of the meeting's agenda, including the organization's continuing efforts to protect intellectual property rights and the creation of an integrated global system that supports innovation and creativity. He also talked about the UAE's continuing efforts to develop and adopt an integrated system that looks towards protecting and reinforcing intellectual property rights, which in turn, reinforces the country's move to create an innovative and creative environment. Al Shehhi explained that the UAE has since then adopted a highly advanced development vision that is based on the country's openness, diverse culture and freedom of creativity--taking note that the move to protect intellectual property rights has been present in the UAE constitution since its establishment. Al Shehhi revealed that the UAE has been reaping positive results in its move to develop policies and legislation covering intellectual property rights. In fact, he explained that the last phase of development saw key achievements on both national and regional levels, including the establishment of the potential of intellectual property as a key engine for innovation across education, the role of schools and teachers in stimulating the role of intellectual property rights as a major aspect for the knowledge-based growth; the role of universities in developing policies that encourage the innovation and creativity and developing the strategic plans to develop strategic plans to make the Patent Office receiver of the future office for international applications under the PCT. He recalled that the UAE was the first to ratify the Marrakesh Treaty to Facilitate Access to Published Works for Persons Who Are Blind, Visually Impaired or Otherwise Print Disabled. He also stressed on the importance of devoting the development to all activities and programs supervised by the WIPO and to support the efforts of Member States in achieving the goals of sustainable development. Lastly, H.E. affirmed the UAE's bid to host a WIPO regional office, in in line with the country's objectives in playing a positive role in spreading a culture of intellectual property. He expressed his hope that the UAE will enjoy the support of the WIPO member states, further explaining that the UAE offers an ideal environment and has met WIPO requirements needed in hosting a regional office. Want to get notified whenever we write about UAE Ministry of Economy ? Next time we write about UAE Ministry of Economy, we'll email you a link to the story. You may edit your settings or unsubscribe at any time.